The Angels announced Sunday they would cut ties with infielder Luis Valbuena on their 40-man roster by designating him for assignment. The team announced the move on their Twitter account just over an hour before the Angels’ Sunday matchup against the Cleveland Indians. Designating Valbuena for assignment allowed the Angels to call right-handed pitcher Deck McGuire up from Salt Lake to get the start in Sunday’s contest. The move for Valbuena comes after the infielder struggled to return to form at the plate and the emergence of rookie David Fletcher at second and third base. 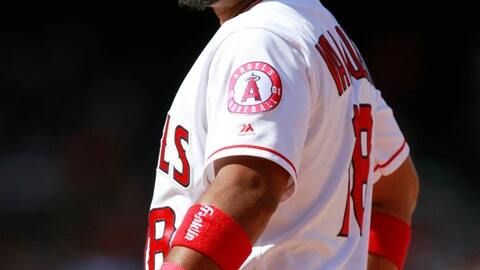 Angels manager Mike Scoscia explained that Valbuena was working tirelessly to find his groove again but nothing was materializing for the 32-year-old. Since signing a two-year, $15 million contract with the Angels back in January of 2017, Valbuena has remained a streaky hitter. Valbuena found himself on a hot streak after last season’s All-Star break, hitting 22 home runs by the end of the 2017-2018 season but this year has been a different story. Valbuena is batting .199 with just nine home runs on the season, his last home run hit was on June 23, 2018. The Angels now have four different options for Valbuena since being designated for assignment. Valbuena can either be placed on waivers, traded, released or placed into the Minor Leagues. Valbuena landing in the Minors looks to be the most logical decision for both sides as it allows him to collect the remainder of his contract.